"Edna, by the Medallions, ... that is real ... ['A Day in the Life' is] a lot different that listening to some guy who's really got it bad for Edna, and I don't think the Beatles got it bad for 'A Day in the Life' ..."
--FZ, Pop Chronicles (Show 14, track 3), 1969 interview. wow! thanks for resurrecting this thread cal! I was just curious: why and what? I thought so. My thirst for knowledge may go unnoticed. Popfan: Why did you post this? Uh, what she wants to? 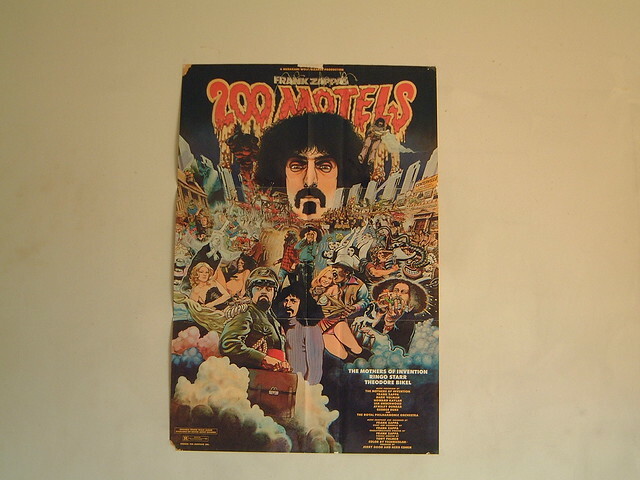 Thats right and what I want for my bedroom now is a full size Frank Zappa poster, any suggestions ? Nice, Thats looks to be from the weird move I watched two weeks ago that turned me onto Frank Zappa. I think I will watch it again this weekend with my girlfriends. Maybe with popcorn, maybe with tea. Thats looks to be from the weird move I watched two weeks ago that turned me onto Frank Zappa. I think I will watch it again this weekend with my girlfriends. Maybe with popcorn, maybe with tea. Ha. That movie never turned anyone on to Frank Zappa.